If you want a more durable and low-maintenance alternative to timber doors, composite doors are for you. These doors are less likely to rot and decay and they don’t warp or split in the heat. Most importantly, they require very little care and upkeep to retain their structural integrity and appearance. The best part is, you can get the same woodgrain finish with composite doors. This helps you in retaining the authentic look of your property. 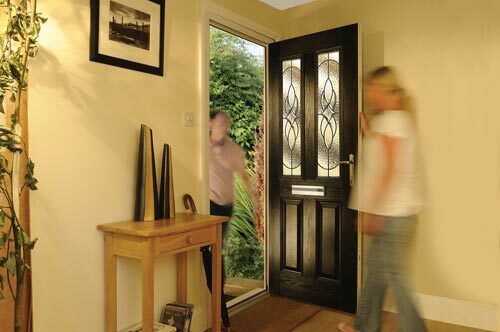 What’s more, composite doors are made with a combination of materials to give you more durability and strength. As a result, they last much longer than timber doors. These doors draw the strengths of their varied component materials. This is why they are able to give you better thermal performance and security. They also look better, which is why they are so popular. 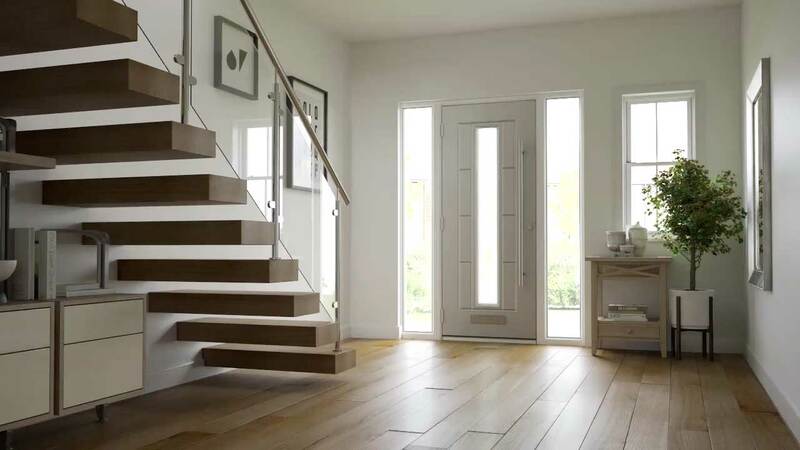 At Select Products, we give you a dazzling range of composite doors for your Ilkley home. In fact, we put together a selection from various leading names so you get a full range of options to select from. 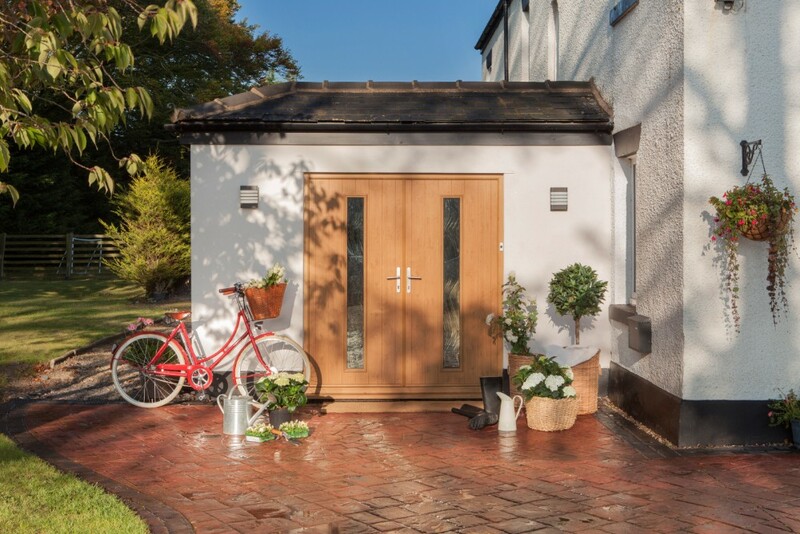 If you are on the look-out for a stunning new front door, then you have found what you need with Select Products’ collection of composite front doors in Ilkley. Rockdoor composite front doors are all protected with heat shield technology. This is state of the art technology that certifies the surface temperature is lowered due to the innovative coating. It is applied to the door in order to reflect UV rays away, preventing any cracking, bending or warping. Heat Shield is used as standard on all Light Oak, Rosewood, Mahogany and Black Rockdoors. Approved by Secured By Design, each composite front door comes fully fitted with a top of the range, multi-point locking system. It is reinforced with inner and outer frames for higher security. Our composite front doors are practically impossible to break through, meaning you can sleep easy in your home knowing you are excellently protected. They are also indestructible against the elements and won’t show any signs of weather damage. The composite front doors are individually measured to suit your specific requirements. This way we can confirm each front door perfectly fits into your home. We never use pre-made doors cut down or modified to fit, we can guarantee that your new composite front door has been made just for you. If you are looking for composite doors that give you great quality at a reasonable price, you may want to look at our Rockdoor collection. Rockdoor are incredibly popular in the UK, with over half a million homeowners having installed a door from their three distinct collections. Each of these has its own set of exceptional features and advantages to offer. The best part is, with such a vast selection, there is something for every taste and budget. Ultimate composite doors are designed to give your Ilkley home improved security. These doors feature high-security German-engineered locks that will resist even the most persistent intruder. Plus, you can choose from 24 different styles to get the best fit for your home. With Rockdoor composite doors, you get exceptional features through innovations and technology. This translates into better features and performance for your Ilkley home. In addition to exceptional security, you will notice better heat retention and weather protection. What’s more, your doors will last longer as well. In fact, our doors feature a clever Heat Shield technology. This protects them from the damaging effects of the sun’s ultraviolet light. As a result, your doors will maintain their stunning appearance along with their superior performance. The best part is, you can choose from 12 different colour finishes for your composite doors. This way, you can tailor the perfect look and style for your Ilkley home. As a result, your home looks beautiful and welcoming right away. If you wish to give your Ilkley home a more premium look, you will love our Consort composite door collection. These exceptionally stylish doors also give you amazing performance for your property. Moreover, they are available in a spectrum of styles. As a result, you can get styles that complement contemporary architecture as well as classic styles. This way, you are sure to find something that suits your home, no matter what it looks like. The best part is, you can tailor it to suit your home by choosing the colour and finish and door furniture, as well as the glazing style and accessories. 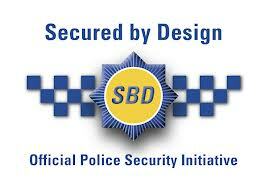 In the list of features, Consort composite doors offer, one of the most important ones is security. These doors have resilient panels that are difficult to break. Moreover, they are reinforced with galvanised steel. Finally, these composite doors are fitted with multi-point locking systems. In short, these doors offer such exceptional protection that they are even approved by Secured by Design. This means the doors have been vetted to police standards. 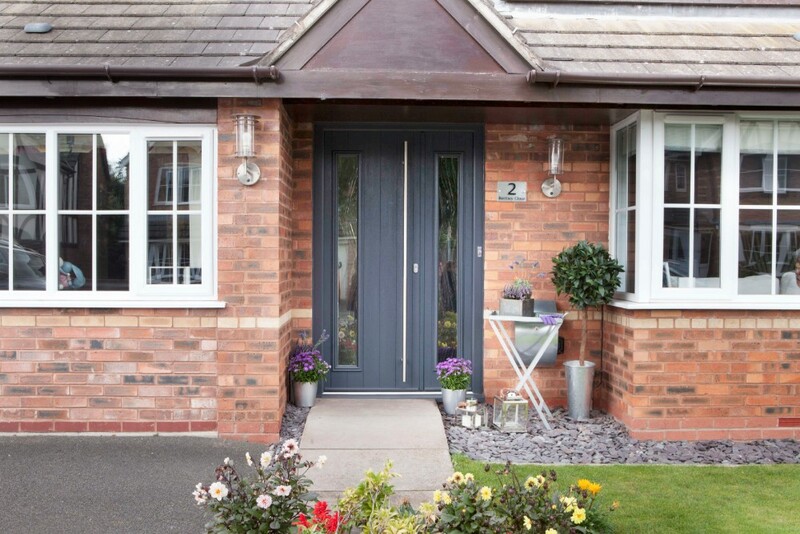 Another great feature these doors give you is superior thermal efficiency. The timber sub-frame of the Consort composite doors covers a thermally insulated polyurethane core. As a result, these doors effectively retain the heat within your home. They are also quite noise-proof, so you get a warm and peaceful home, even in the noisiest part of Ilkley. We offer exceptionally attractive composite door prices in Ilkley. As a result, you can get the style and features you want for the right price. What’s more, you can design your door with our online door designer at your leisure. Then, using your specifications, the clever tool will generate a personalised price estimate for you. Alternatively, you can get in touch with us with your questions. We will be glad to offer you all the assistance you need in choosing your new composite door for your Ilkley home. You can find out more about our products, features, and even get a quick quote.